The Woolly Brew: now in the shop - our BIGGEST range of Opal sock yarn ever! 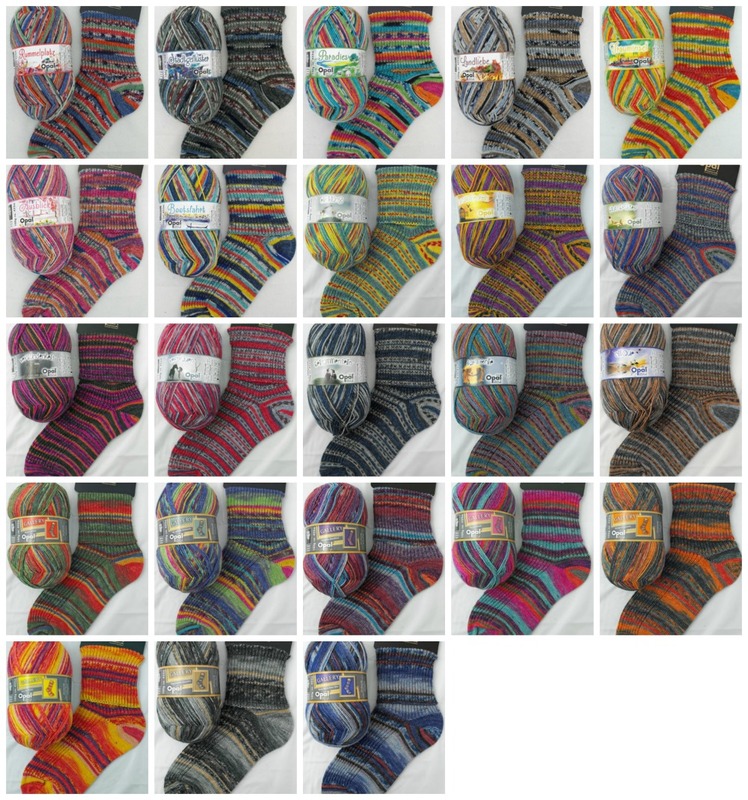 now in the shop - our BIGGEST range of Opal sock yarn ever! Over 23* shades of Opal 4ply sock yarn now in the shop! We now have Gallery, Best of Friends and Poupourri of Dreams. Each different in design and shade but all in standard 4ply sock weight wool - one 100g balls is more than enough for a pair of socks. We have a basic sock pattern in the shop and we're happy to help you get started, Check out out sock tips board on Pinterest for more helpful hints and tips! * if you add in Opal Cotton and balls from previous collections there are in fact 35 different shades in the shop!